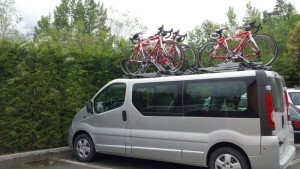 The Cycling House offer: an Opel Vivaro van for 9 people is available for rental without a driver for self-drive tours. 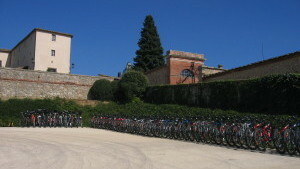 It is equipped with a bike rack for 8 bikes, first aid box and a bike repair kit. 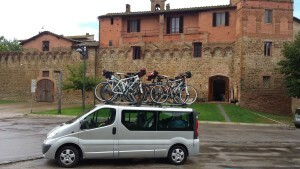 It is ideal for group tours, providing excellent support to the cyclists and space for luggage. 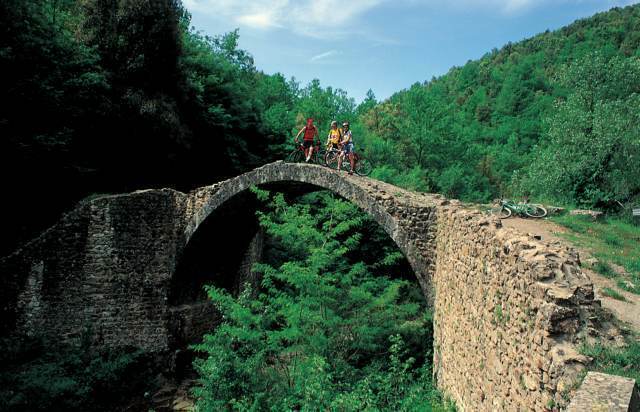 Tuscany a paradise to ride your bike: post card landescapes, back roads, art, culture, good food and good wine, the best coffee in the world. I want to thank you for a wonderful ride. This was a highlight of our trip!!! If you don't mind please forward the pictures of our ride. Kim says Hi and she has recovered nicely!! That is a great picture! 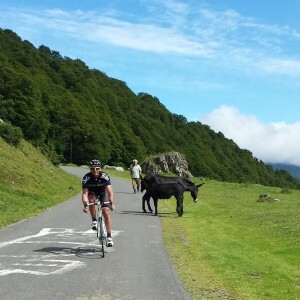 I really enjoyed our cycling. Miss Tuscany. 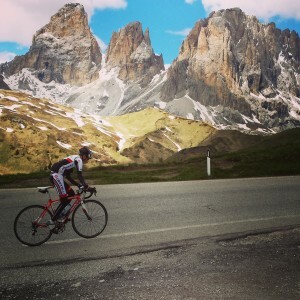 I sent Marco a possible itinerary for the Dolomites / Alps. Thanks for a great couple of rides. I really enjoyed both the rides and your company. Hope to see you again. Please let me know how I can buy your team kit - I love it!!! Thank you for the wonderful bike tour! The pictures are on my camera, and I will email them to you when I return to Denver. I am enjoying reading your map book!